Alas, I was dealing with Life Stuff last month and couldn’t get a recap together for #40, but I have returned! Okay, so one person on Twitter asked about it, but that’s pretty much all it takes. 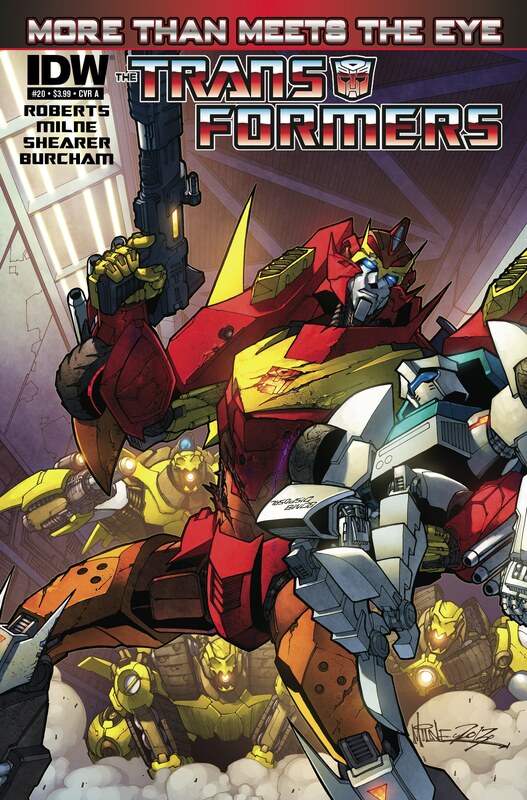 The Lost Lights finds the missing Vis Vitalis just in time to learn that its captain Thunderclash, the most obnoxiously good Autobot of all time, is at death’s door! And the crew is invited to the dying hero’s pre-wake! But something here may be — dun dun DUN! 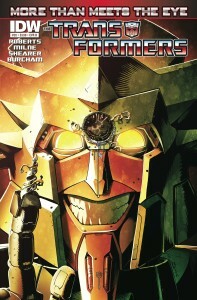 — more than meets the eye! 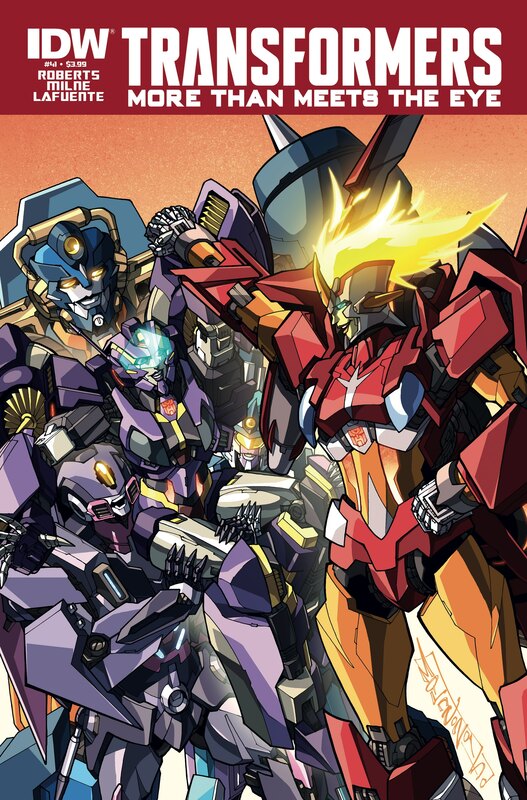 Spoilers ahoy as we recap MTMTE #41! I have a long standing love/hate relationship with horror and splatter films, particularly the ones from the 80s. Though they near always result in bad sleep and nightmares, I still watch them, coming back for that surge of adrenaline and the feeling like your heart is about to leap from your chest (and there is something to be said for watching them with someone who doesn’t mind if you cling to them in your fright). With all the hints about this upcoming issue that trickled down to me via friends and social media I knew I was in for something more than just “a hit to the feels”. With my reptile brain fully engaged, heart beating in my chest I made the dubious decision to sit down and read this issue late at night. And yea beware, for below there be monsters (and spoilers). 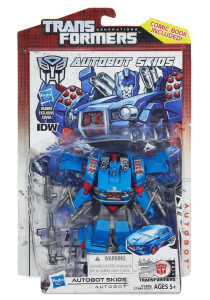 Amazon.com has updated their listings for the upcoming Deluxe toys of Skids, Goldfire, Waspinator, and Dreadwing from the Generations line to include official pictures! Each toy’s listing now shows the figure in package, in robot mode with the exclusive pack-in comic cover, and in vehicle mode. 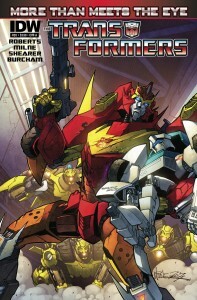 They also include what is most likely the package copy for each toy, which show a closer adherence to the IDW storyline than the blurbs we’ve had in this series so far: Skids’ mentions his amnesia, Goldfire’s mentions his struggle to lead a collapsing Cybertron, Waspinator’s mentions his time displacement, and Dreadwing’s… hints at some recent spoilers. No mention yet of what comics those new covers will be covering, though. 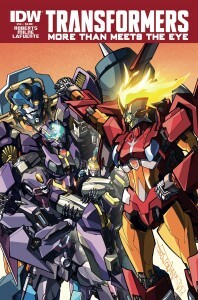 Click the links above to see more, including Dreadwing’s Generation 2-style Decepticon symbol and Skids’ Alex Milne nose! James Roberts. The man giveth with one hand, and then taketh away with the other. What’s the deal with Skids and his memories? 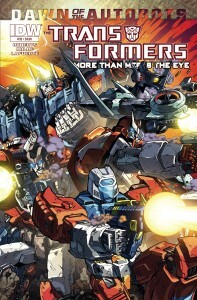 Hold on tight, guys: We’ve reached the penultimate issue of More Than Meets The Eye‘s “Season 1” ender Remain In Light, and the plot’s not gonna slow down for laggards! Unlike Getaway and his playful “bomp”s, this issue pulls no punches, and the end left me slack-jawed, shell-shocked, and envying people who wait for the trades and don’t have to go a full month between issues. The bulk of the issue focuses on revealing one of the mysteries that’s been in the background of the story for most of the series’ run: What was Skids doing before he showed up, what happened to his memories, what’s the deal with that gun he keeps forgetting he’s holding, and why is he being chased by giant robots accusing him of “thought crimes”?